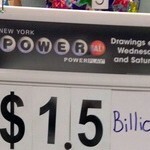 Want to play lottery from the comfort of your own home? Want to access dozens of games? 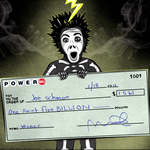 Welcome to the world of online lotto agents! And since this sounds like a bad ad, it’s time to get real and delve into the specifics of online operators, their strengths and their shortcomings. 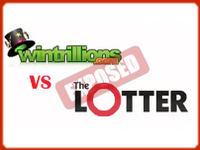 WinTrillions and TheLotter are two of the popular operators. If you’ve ever done online research about lotto agents, either or both names have certainly popped up on numerous occasions. Now that you’ve narrowed it down, however, how can you choose one or the other? WinTrillions? TheLotter? Because we’re nice like that, we’ll make it a bit easier for you to decide. Read on, kids, and figure out which operator will make all of your easy cash dreams come true. Before moving on to deeper (and potentially darker?) details, let us explore some of the basic characteristics that the two operators have. 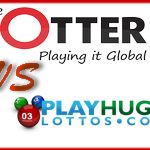 When it comes to lotteries being available through the particular agent, TheLotter is the certain winner. It features a total of 47 lotteries from the US, Australia and European countries. Some of the lotteries included are OZ Lotto, EuroJackpot, EuroMillions, New Jersey Lotto, Oregon Megabucks, El Gordo, the UK National Lottery, Hot Lotto and New York Lotto. On the other side, WinTrillions gives you access to 21 games. Still not bad but it looks a bit poor in comparison to the multi-national, colorful diversity that TheLotter gives you access to. To make you feel welcomed (and more eager to spend), both of the operators have some great offers for newcomers. TheLotter members get access to a buy one, get one free offer. There’s also a cool referral bonus. If you get a friend to sign up, you’ll benefit from 25 dollars neatly deposited in your account. WinTrillions doesn’t stay behind when it comes to perks. There’s a VIP loyalty program, as well as a referral program. If a friend signs up on the basis of your referral, you’ll get to play USA Mega Millions for free. We’re torn and can’t decide which operator has a better offer, which is why we’ll give them a point each when and declare it a tie. Both of the lotto agents can be downloaded on a smartphone and both are compatible with Android/iOS devices. If we need to differentiate just a little bit, however, TheLotter’s mobile navigation is a bit more user-friendly and intuitive. So, is TheLotter better than WinTrillions or vice versa? We’ll disappoint you by refraining from providing a concrete answer. The selection of one operator or the other will depend on your preferences, your gaming style and the games that you’d like to get access to. TheLotter does give you more variety and the freedom to purchase individual tickets rather than have to buy a subscription. Having these many games at your disposal, however, will get tricky. Being responsible in such instances could be a particularly difficult task. In essence, you’ll feel like a kid in a candy store and find it impossible to stop eating (in that case, to stop buying). WinTrillions gives you excellent opportunities, as well. The mere fact you have to choose a subscription, however, will limit you in both a good and a bad way. So, which option should you pick? Take some time, acquaint yourself with both platforms and play around with the options before committing to one or the other. Both of the opportunities are legitimate and you have absolutely nothing to worry about.